The time machine comes to a still. There is music outside and warm colorful lights. Victor Fluke sees a big crowd outside the machine’s window. “They all look very happy, I think we are safe” he says. Mr. Sloto and Victor sense a warm environment with mariachi songs in the background. As Mr. Sloto is about to step out, Victor calls out “Careful, there is a rooster at your feet… erm, wheels”. 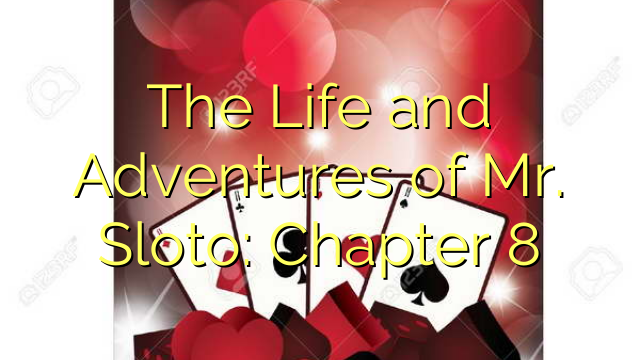 Mr. Sloto carefully avoids stepping on the rooster and both time travelers enter the warm scene. There are corncob, tortillas, large cowboy hats and loud cheers all around. “We’re in Mexico” says Victor. They are pleased to see such a welcoming environment after all their recent adventures. They decide to get a bite when suddenly they hear a loud voice coming out from the overhead speakers. “Atención! Macho Camacho vs Taco Malo en 5 minutos”. Mr. Sloto sees a wrestling ring in the middle of the large hall. “It’s an underground wrestling match, yoohoo!” yells Mr. Sloto out of sheer excitement. As they approach the ring a drunk cowboy accidentally pushes Mr. Sloto and he goes zooming by the crowd and into the ring. The referee looks confused. “What is your nombre?”Mr. Sloto, fully into his new role, answers: “Sloto Roboto”. The referee announces that it will be a new match between Sloto Roboto and Taco Malo. The crowd is perplexed and they exchange lots of bets. The clear favorite is Taco Malo. The bell is struck and the wrestling match begins. Taco Malo comes straight at Mr. Sloto. Victor yells that he should just run. Mr. Sloto on his wheeled feet just goes round and round the ring with Taco Malo running behind him. After 5 minutes Taco Malo is completely exhausted. “This is your chance, knock him down” screams Victor. Mr. Sloto spits out a gold coin and hits Taco Malo straight in the head. He goes down instantly! Referee calls out the winner: “El ganador es Sloto Roboto”. The crowd is angry as most lost their bets and they start to argue that Mr. Sloto has cheated. 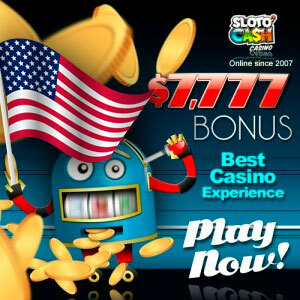 Suddenly the whole halls turns against Mr. Sloto and he starts running away – again – for his life! “Quickly to the time machine”, says Victor. They both run back to the machine and quickly plug in new numbers. This time they put 2018 correctly. “Time to go back into the present”, says Victor. Mr. Sloto sighs with relief and thinks out loud: Can’t wait to see my love again. We thank Priscilla Robles for submitting her idea. She has been rewarded with 200 FREE SPINS. If we use your suggestion for next chapter, we will showcase your name as co-creator and award you too with 200 FREE SPINS! 0.1 LET YOUR IMAGINATION RUN WILD! 0.3 We thank Priscilla Robles for submitting her idea. She has been rewarded with 200 FREE SPINS. 0.4 If we use your suggestion for next chapter, we will showcase your name as co-creator and award you too with 200 FREE SPINS!